Rediff.com » Movies » Sonakshi, Priyanka, Rani: Sportswomen of celluloid! 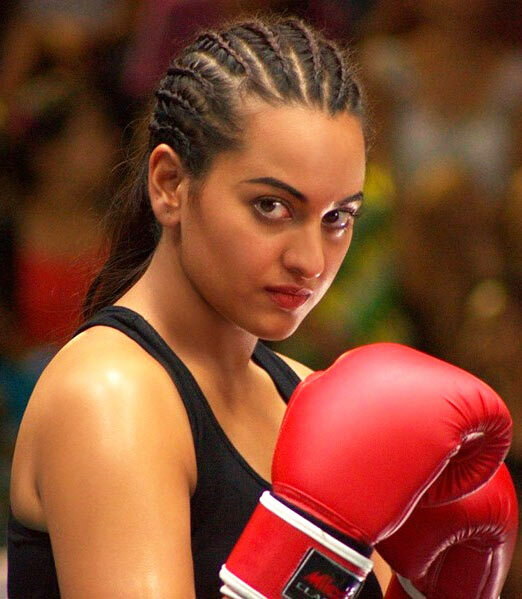 Sonakshi, Priyanka, Rani: Sportswomen of celluloid! Things might be radical in Hollywood but only marginally better when it comes to the subject of women in sports on screen. Sports are a neglected arena in Bollywood’s scheme of relentless masala. Save for an occasional Iqbal or Bhaag Milkha Bhaag one hardly ever sees a Hindi film focusing on the lives of athletes. In such a limited scenario, the odds of seeing an onscreen portrayal of a sportswoman are even more rare. Here's a look at some of the popular portrayals of the same on celluloid. In AR Murugadoss’s upcoming Holiday, a remake of the Tamil hit Thuppakki, Sonakshi Sinha plays a college level boxer engaged to an armyman. Sinha is believed to have modelled her look on American boxing champion, Laila Ali. Although her sporty inclinations aren’t entirely crucial to the story, which concerns itself with Akki’s daredevilry, it certainly makes for a refreshing change. Priyanka Chopra flexes her acting chops and lean biceps to essay one of the most challenging roles of her career, the five-time World Boxing Champion Mary Kom in the upcoming biopic directed by Omung Kumar. While some frowned upon the casting -- a Punjabi actress playing a sportswoman from Manipur -- Chopra finds their struggle quite similar. 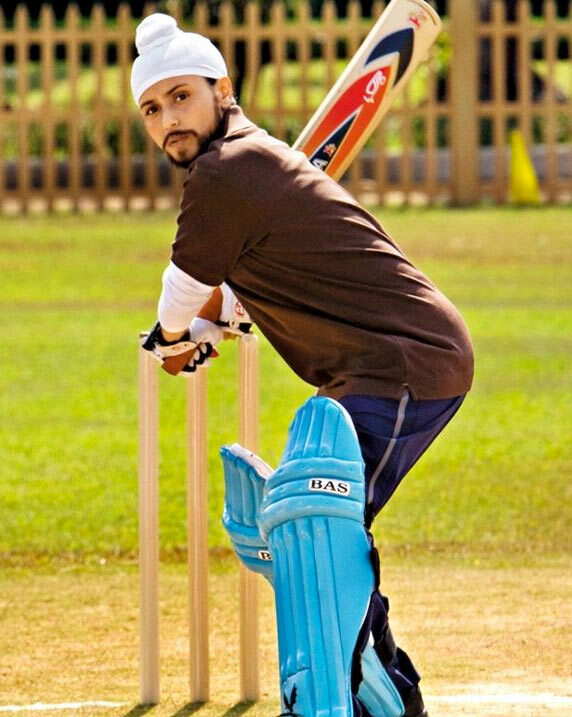 Shimit Amin’s Chak De! India aims to inspire with its triumph of spirit theme headlined by a mighty impressive Shah Rukh Khan. 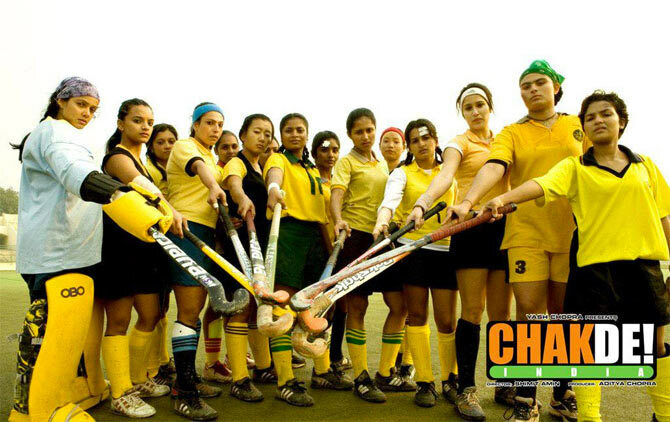 How an all-women’s hockey team, played by a sprightly bunch of newcomers, elevates itself from lacklustre to glorious under the no-nonsense training of SRK’s coach-on-a-comeback trail forms the crux of this unanimously acclaimed sports drama. Rani Mukerji’s penchant for roles that aren’t typically glamorous has allowed her the thrill of starring in varied genres. Gurinder Chadha’s light-hearted take on pursuing dreams has a simple funda: who wants to cook aloo gobhi when you can bend the ball like Beckham? Set in London, the film is about a Sikh girl (Nagra) and her English best friend (Keira Knightley), how they bond over football and rebel against their families to achieve their ultimate goal in this amusing, emotional coming-of-age sports flick. 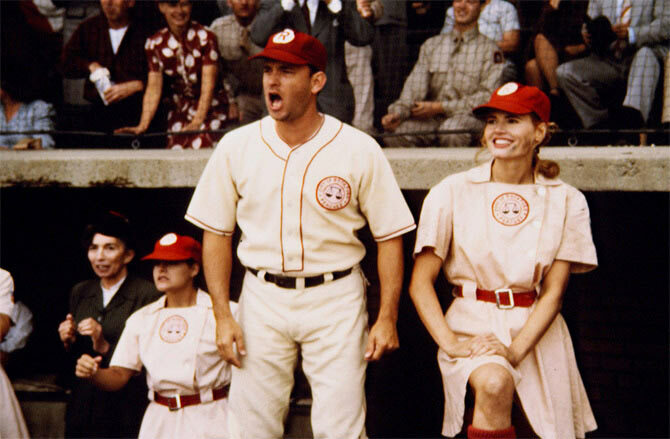 Penny Marshall’s A League Of Their Own tells the story of two sisters struggling to keep their personal lives and equation with each other intact while showcasing their sporty talents at a first of its kind all-women professional baseball league against the backdrop of World War II. Clint Eastwood’s Million Dollar Baby fetched an acting Oscar for Hilary Swank for her awe-inspiring portrayal of a quadriplegia-plagued boxer requesting for euthanasia. While her dramatic prowess is undeniable, Swank is equally electrifying in the fight sequences for which she gained 19 pounds of muscle. Essentially a rom-com about two tennis players -- an ambitious, rising star and a wealthy, fading tennis sensation, Wimbledon was shot extensively on location. Dunst had a tutor on the sets to help her with the technicalities of the game, getting the serve right in what renowned film critic Roger Ebert called a ‘well behaved’ movie. 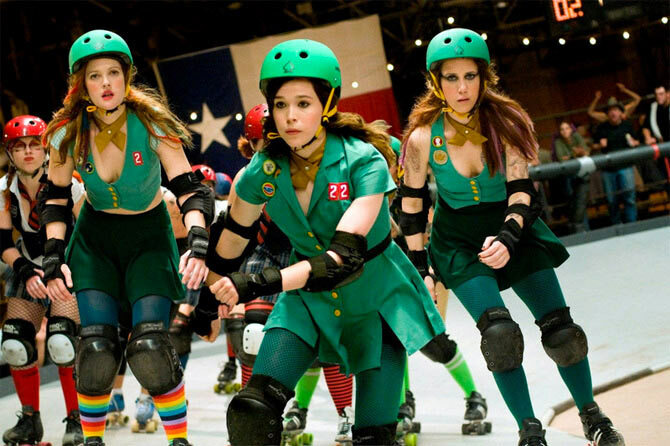 Drew Barrymore turned director with the adaptation of the Shauna Cross novel Derby Girl starring her and Ellen Page in a typical coming-of-age genre. Page joins a roller derby team against her family’s wishes who rather see her participate in a beauty pageant. Her tremendous skating talent and camaraderie with her gal pals is what Whip It! aspires to unfold a tad mundanely under Barrymore’s inexperienced captaincy. Back when heroines were restricted to portraying village belles or wealthy heiress, Nutan emerges as breath of fresh air in the Kishore Kumar comedy, Dilli Ka Thug. 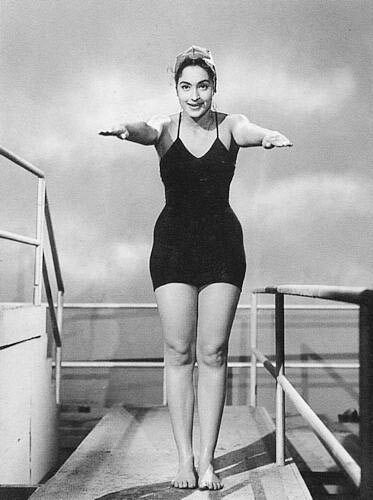 The versatile actress plays a swimming/diving champion and her bold swimsuit appearance raised quite a hullabaloo in the conservative 1950s. Rajinikanth to Sonakshi: Why are you nervous? I should be nervous!